Product #17442 | SKU BRBK-302 | 0.0 (no ratings yet) Thanks for your rating! 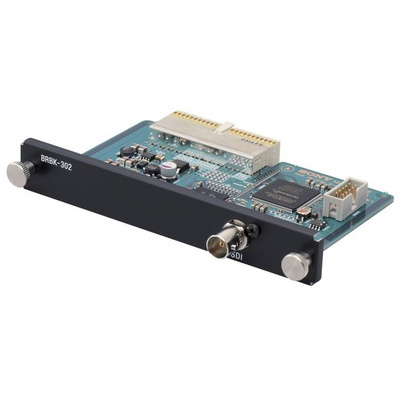 The Sony BRBK-302 is an optional SDI card for the BRC-300 remote control camera system. The card can be installed directly into the BRC-300 camera to output uncompressed video directly to a recorder and/or monitor. It may also be installed in the BRU-300 multiplex box. For extra-long cable runs fibre-optic cable is run from the camera to the multiplex box. The BRU-300 then outputs SDI to the recorder/monitor.